Long before the internet, or the cell-phone or even the television, there was a time when going to the movies used to be an occasion in itself. A relatively aggressive male member of a joint family would go to the theatre a day or so in advance and jostle with an eager crowd to return home — wounded but victorious — with a bunch of tickets. On the day of the movie, everyone would be busy preparing for an early meal, even as a row of rickshaws would stand parked outside the house, their drivers staring at each other’s faces, wondering what would be the right fare to demand for such a vividly enthusiastic outing. The entire family would finally step into the theatre minutes later to dive into a world of wholesome entertainment. Gone are those days, when movies used to be a destination too. And with those fond days, even such movies have disappeared, leaving only memories. 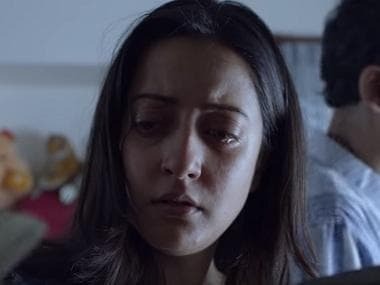 Which is why, from the moment its trailer began to do the rounds of social media, director Suman Ghosh’s new film Basu Paribar immediately caught public attention, appealing to our nostalgia. And to a large extent, it has managed to keep its promise of that sense of nostalgia. The story of Basu Paribar has practically nothing in common with that of the 1952 Uttam-Supriya-Sabitri starring film of the same name. In Ghosh’s film, a retired barrister and his wife are celebrating the golden jubilee of their wedding. On such a joyous occasion, their entire extended family gathers around in what used to be the erstwhile mansion of the husband’s aristocratic ancestors. Some family members come from abroad, some from various parts of the country itself. Some are old, some are young. Some are immediate family members, some are relatively more distant. There is merrymaking, singing, leg-pulling and peals of laughter. But as the night becomes darker, so does the mood of the party, as one by one, all the masks begin to drop, and skeletons begin to tumble out of old cupboards. Forgotten secrets are spilled, and we soon begin to realise that beneath the façade of apparent warmth and joy, every single member of the Basu family is nursing a festering wound in their hearts. One of the biggest highlights of the film is its ensemble star cast. Veterans such as Soumitra Chatterjee, Aparna Sen, Lily Chakraborty and Paran Bandopadhyay, and contemporary actors such as Subhasish Mukhopadhyay, Rituparna Sengupta, Saswata Chatterjee, Jishu Sengupta, Koushik Sen, Sudipta Chakraborty and Sreenanda Shankar all come together to star in Basu Paribar. Gathering such brilliant actors and big names in one location in itself must have been a challenging task, and hats off to the filmmaking team for having pulled off this seemingly impossible and nightmare of a scheduling task. But all this hard work, all the promises of a stellar cast would have fallen flat had the performances not been good enough. But in the skilled hands of Ghosh, the actors — both new and old — all put their best feet forward. Soumitra and Aparna are perfect as the couple at the centre of it all — the difference in their ages deliberate and apparent. It is a treat to watch them blush as their children egg them on to reveal sweet and embarrassing details about how they had met. 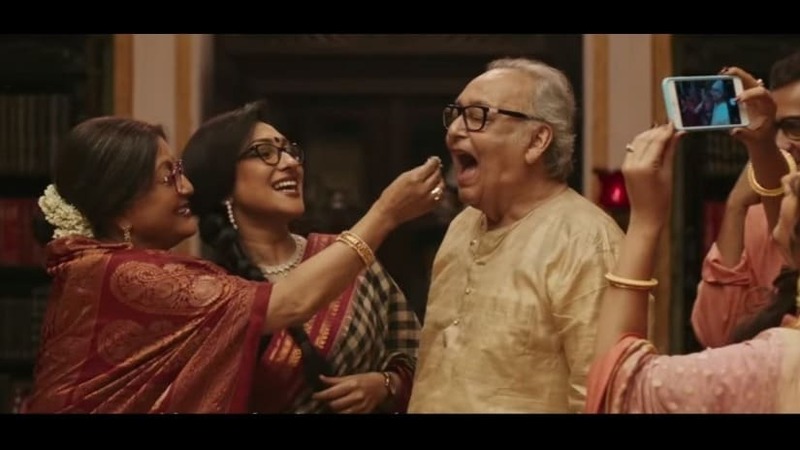 The ever-so-beautiful Lily Chakravarty is pitch perfect as the loving elderly sister-in-law, and when you look at her, you get the feeling that she has not changed a bit since the golden days of Bengali cinema. 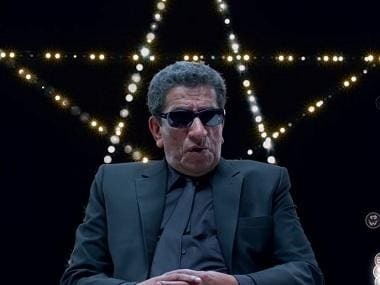 Paran Bandopadhyay is literally incapable of giving a bad performance even if he wanted to, so there’s nothing new to say about him, except that he once again steals the show with his magnetic presence. Jishu Sengupta and Koushik Sen play their parts admirably — Jishu with the requisite brashness of the younger sibling, and Sen with the protectionism of the elder brother. Rituparna comes across as the quintessential careerwoman perpetually struggling to strike a balance between job and family, and Sreenanda looks like a million dollars and cusses like a sailor when the act drops. But the three actors who shine brightest are Sudipta Chakraborty as the somewhat misfit middle-class daughter-in-law, Subhasish Mukhopadhyay as the loyal servant and trusted man Friday of the family, and Saswata Chatterjee as the grim and reticent party pooper who seems to have vowed to play spoilsport for the evening for some inexplicable reason. The cinematography is commendable — especially with the outdoor night scenes. And Bickram Ghosh’s music is both apt and soothing to the ears. Despite all the positives of the film, a couple of things need to be said about how it all could have come together in a better fashion. One of the things which Ghosh seems to have done is to avoid the presence of any children in the film. This struck me as convenient, but somewhat unnatural, especially given the fact that the grandparents are present. Ghosh may have had his own rationale to explain this (or not), but even if he did, it wasn’t quite clear to me. The second is the denouement of the film. The entire thing did not make for a very satisfactory explanation — not satisfactory enough, at least. It seemed somewhat artificial and ‘put together’, for lack of a better expression, almost as if it was a Hobson’s choice. It’s not that it is not a plausible explanation, no — it’s just that it did not make for very good art. There were several other turns that the story could have taken, ones that would have given the film a whole new dimension. But if one were to overlook these complaints — and I’m not sure if I would like to dismiss these as quibbles — one would have a decent time watching Suman Ghosh’s Basu Paribar. I know I did too. 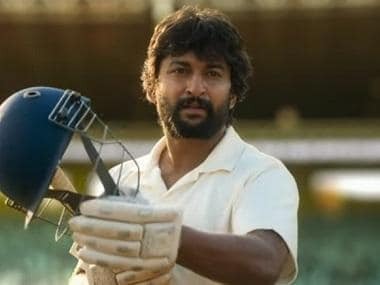 The film left me with a warm sense of nostalgia, and fond memories of family gatherings, where just under the surface of mirth and celebration, there are always tidings of grief and despair, whispers, frowns and sniffles.